Better To Gather, Joy of Living, and Black Dog Coffee House have something exiting planned for this Valentines season! Not only does this Sunday class have two different coded love jewelry options for you to choose from but this is also the first of many classes with new teacher Clementine Lindley, the owner and founder of Rita & Betty: Home Craft Lab! 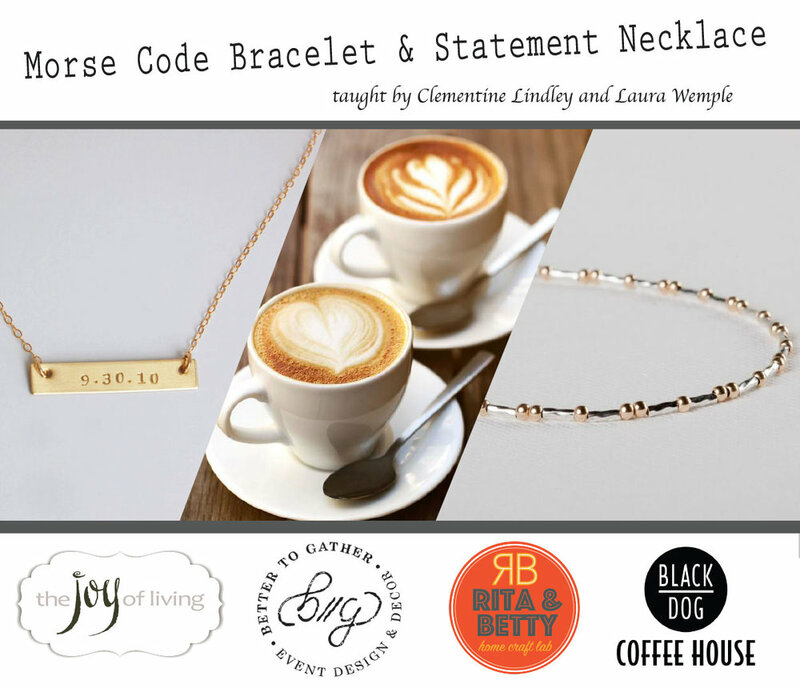 Clementine will be teaching the morse code bracelet and Better To Gather’s creative teacher, Laura Wemple, will be teaching one of her favorite classes: the statement necklace. As always Balck Dog Coffee House will have one of their fabulous baristas to serve up some fun coffee* to start the night. Then Joy of Living will be open after the class for some more fun! A great place to find some last minute Valentine gifts for the loved ones in your life. So come join Clementine and Laura this Sunday, February 10th at 4:30 PM, for some creative collaboration, fun, and relaxing time with friends, or even make some new ones.